Costa Rica? Nah, Costa Richa! Sparkling beaches, gorgeous rainforests, and cascading waterfalls — welcome to Costa Rica, a traveler’s eco-touristic paradise, where sloths slowly make their way through forest canopies, iguanas run the streets and monkeys swing through trees. It’s not hard to fall in love with Costa Rica’s Pura Vida philosophy. Pure Vida is not just a catchphrase, it’s a way of life. 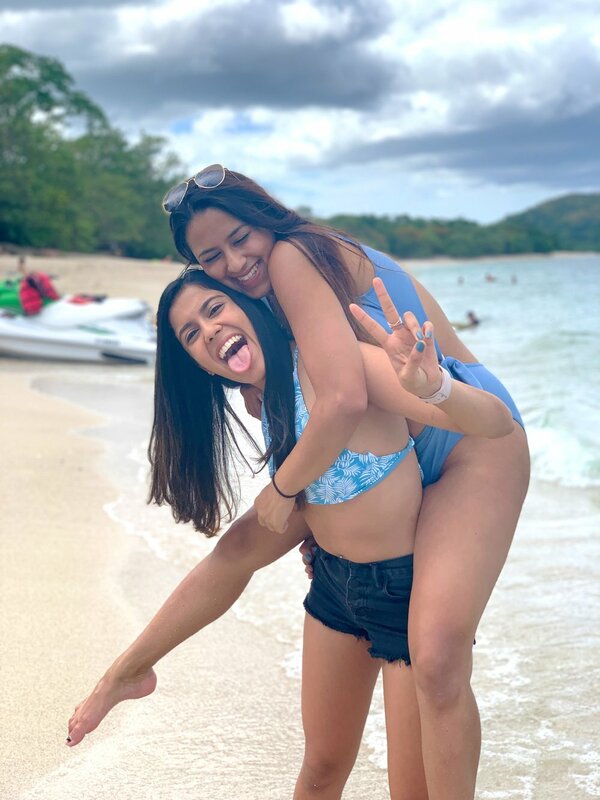 Costa Ricans (also called “Ticos”) embody this carefree ideology. And, as someone who spends too much time worrying about a never ending to-do list, this was a refreshing concept. Side note, I was yelling “Pure Vida baby” my whole trip. 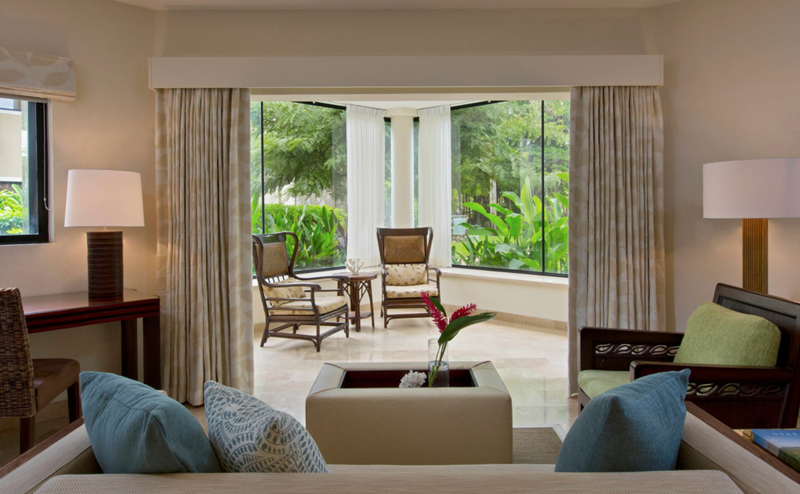 I purchased my Costa Rica trip package via Costco Travel, with this package we got to stay at the beautiful Westin Playa Conchal All-Inclusive resort in Guanacaste. This hotel was gorgeously located right next to the beach (Playa Conchal) — had amazing service, great food (for an all-inclusive), and an amazing spa (photos below). We stayed here for 4 of the nights and ventured out to Arenal & Tabacon for 1 night. The one thing about Costa Rica that I wasn’t a fan of was that it was a trek to visit other cities; you definitely have to rent a car because going from one city to another takes about 3 hours. Because of the travel time, you only get to do about 2 major cities in a 6 day period so I’ll definitely be back, Costa Rica! 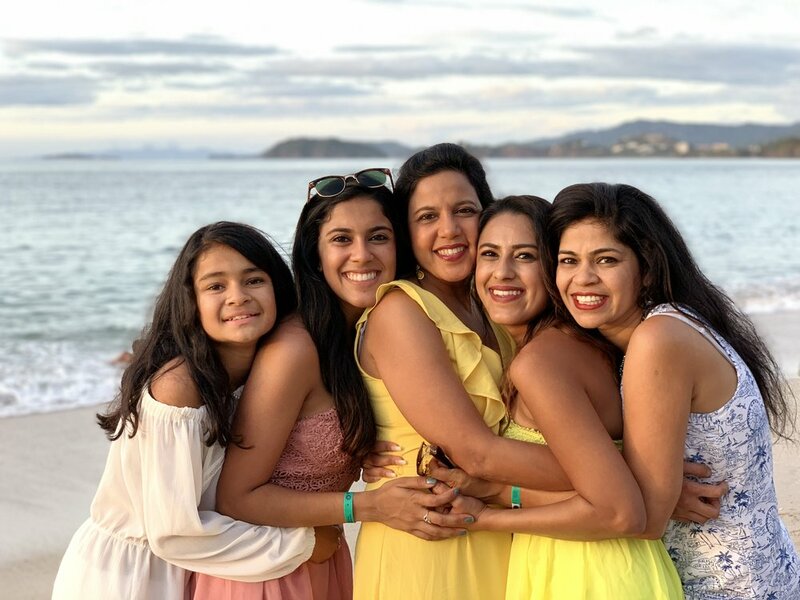 Following the format of my previous blogs, here are the top 5 things to check out in Costa Rica and a quick look book of my favorite outfits! Arenal National Park is home to Costa Rica’s most active volcano, it took us 3 hours to get to this area from Guanacaste. There’s a bunch of hiking trails in Arenal National Park, which I highly recommend, you’ll get unobstructed views of the volcano, unfortunately, you can’t get too close (it’s still active after all). Next, make your way to the cascading La Fortuna waterfall, it’s easily accessible via a platform of stairs built through the jungle. You can climb down the 400+ steps to take a dip in the chilly but gorgeous river. Make sure to save energy for the climb up…. (my mom almost fainted). Fun fact: We saw monkeys in the trees! Note: Attire I recommend for this venture include water shoes (life saver), swimsuit, shorts & a tank. Also, be sure to spray yourself with mosquito repellant. 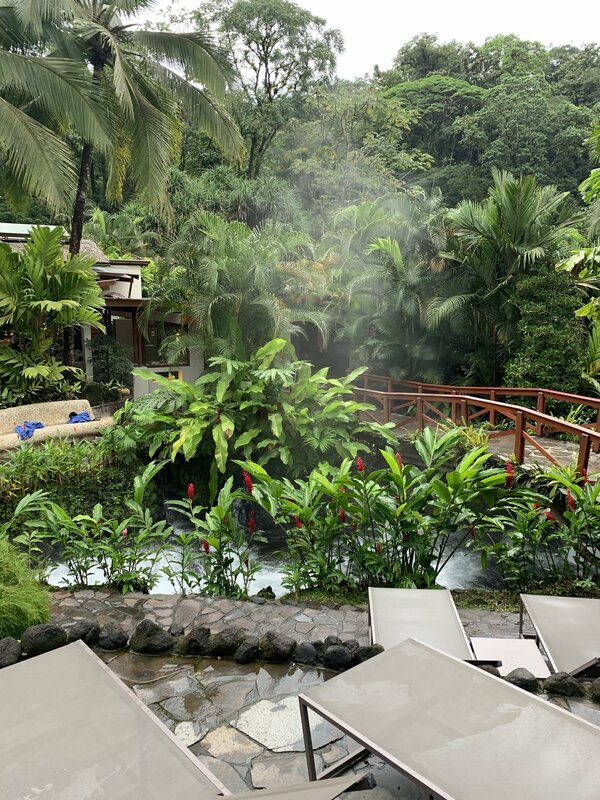 Located about 20 minutes from La Fortuna, we headed straight to Tabacon Hot Springs. Arenal is known for it’s hot springs — it’s a must do, the top ones recommended to us were Tabacon and Baldi. Given our short stay, we could only pick one and we heard Tabacon was the best and boy were they not wrong. There are 12 pools throughout the property, each surrounded by lush greenery; this makes it feel private and enclosed, like you’re literally in the middle of a rainforest. 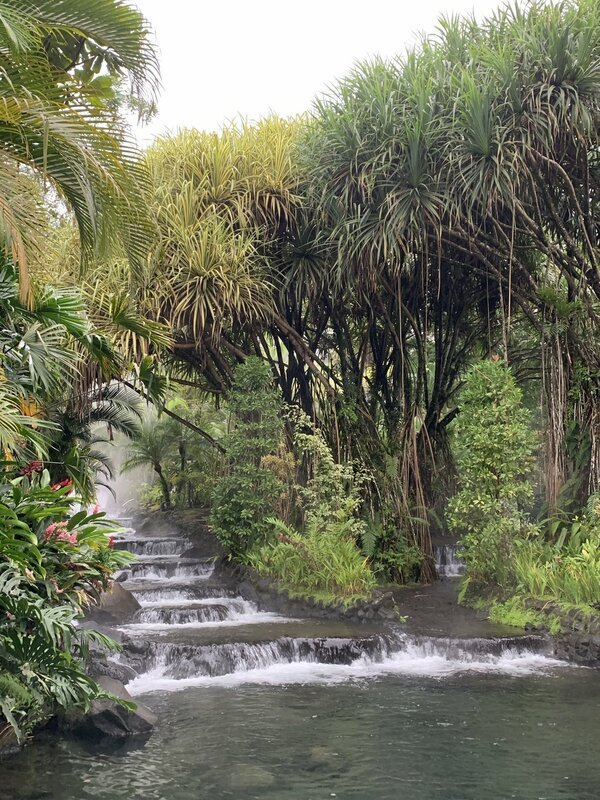 The hot springs are heated by rivers flowing from the Arenal Volcano — the higher the pool, the hotter the water. I mean look at this, pure paradise. Note: If you book a night or two in these resorts then visiting the hot springs is included in your stay. We decided not to stay at the resort and purchased a day pass instead ($70/person, includes dinner). This gave us more flexibility to explore the city and other areas. If you’re an adrenaline junkie like me, this is the place to be. 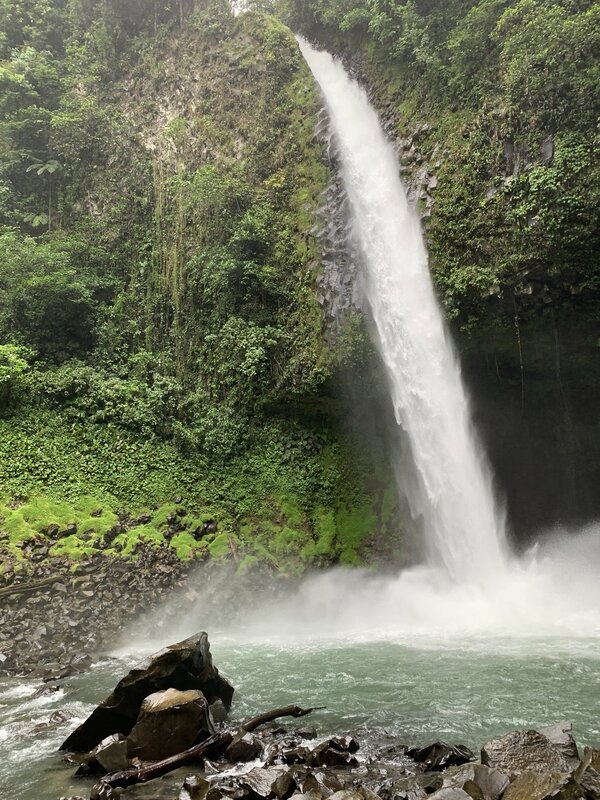 Costa Rica Sky Adventures has a wide selection of tours depending on your level of experience —the views of the volcano and rivers are breathtaking. My sister and I did the Sky Trek package (highly recommended for those experienced in zip lining) — in this package we got to take the Aerial Tram up to the the highest point of the mountain where you can see all of the volcano, lake and surrounding forests. From this area, you will start riding down a unique zip line circuit that goes from one mountain to another and in between treetops. I can’t even describe how beautiful everything was. After we finished zip lining, the second part of the package was sky river drifting which basically means solo white water rafting. We didn’t do white water rafting as a family because my mom and dad have fallen off before and they have PTSD, so this was the perfect way to experience it without depending on other family members (plus, I always end up doing all the work). The thrill of being carried by the current towards the rapids on a small little raft alone is insane — my sister and I both flipped over at some point, and she actually hit her head against a rock (don’t worry, you’re wearing a helmet). You must be a good swimmer for this activity because the currents are insane! Zip lining and river drifting gear! 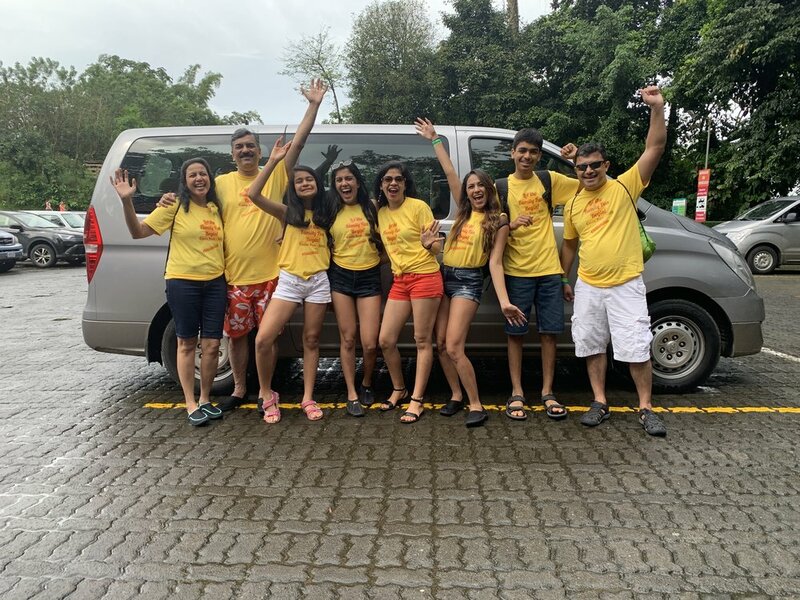 Note: The family split up during the activities because Richa and I wanted to do more adventurous things, while the rest of the family did a nature hike with a tour guide and a less intense zip lining course. I highly recommend water shoes for this entire activity or you’ll cut up your feet during the river drift. Playa Conchal is known to be one of he best beaches in Costa Rica, one unique characteristic that makes it so special is that it has white shells instead of sand. We were lucky to be staying at the Westin Playa Conchal because it’s backyard was this treasured beach! We had multiple family photoshoots on this beach because we’re cheesy like that (reference photos below). 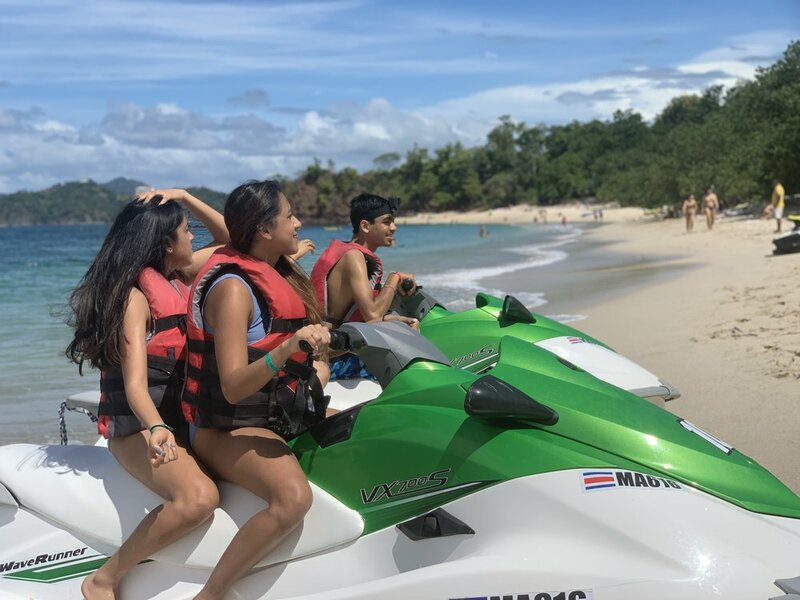 They also have a range of basic beach activities that we participated in - Jet Skiing, Snorkeling, Kayaking etc. I would definitely carve out one day to just spend at the beach and enjoy. I just realized that one of the places I don’t talk about enough is the hotel, that’s why it gets it’s own section. This all-inclusive resort was so beautiful. I spent most of my time at the pool bar drinking and yelling “drinks are on me”…. yes, I know it’s all inclusive. The restaurants at the hotel ranged from Italian, Mexican, Indo-Chinese, American — make sure to make reservations the day you land because they fill up fast. They also have amazing shows at night, the one I particularly enjoyed was called “Around the World,” which showcased dance and music from different countries all over the world (GO INDIA). But, my favorite part would have to THE SPA. My sister and I got a couples massage because she’s my forever couple — we got to spend time in the sauna, steam room and jacuzzi before the massage and were allowed to use the facility after too. Note: With the Costco package we got credit towards the spa, so I’m not sure how pricey it is for people without the package. Overall, Costa Rica lived up to my expectations, it’s the perfect destination for adventure-seekers and paradise dwellers — I definitely am both. I wish that the cities were closer together so you could visit more places in a shorter time but since they’re not, in the words of Arnold Schwarzenegger, I’ll be back. I hope this was helpful to those of you planning a trip to Costa Rica and gave inspiration to those who aren’t. If you haven’t checked out my other trips, visit my Travel page. 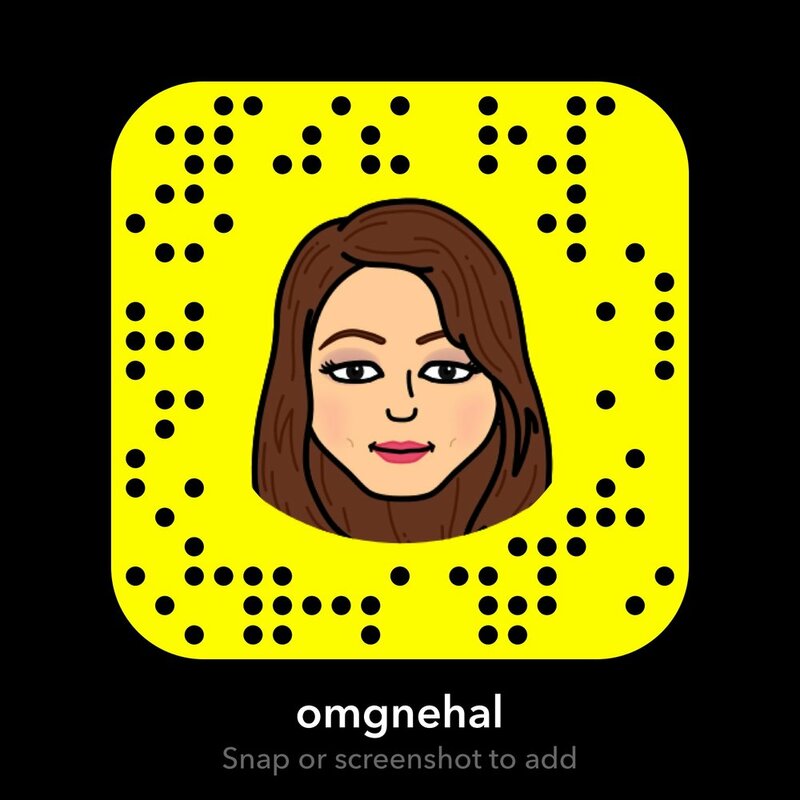 Where will Nehal Tenany be off to next? You’ll just have to stay tuned! If you have any questions, shoot me an email or DM on my Instagram account (@nehaltenany). HAPPY VACAY!